we recently returned from a lovely trip to San Clemente, California. we visited not only my parents, but my sister, Katie, as well. it was amazing and sunny and delicious and Disney. there are many great photos. that you will likely never see. because, if i'm being honest with myself, they have gone into my camera to live out their lives, never to be seen again. but. . . i did take a picture the other night. thankfully, it was on my phone. so it can escape with ease. the boys have always loved to be read to at night. sometimes, bernie and i have our lives just together enough that we have some quality time to devote to this. on those other (majority) of days, a page or two from a book about some topic or another has to suffice. 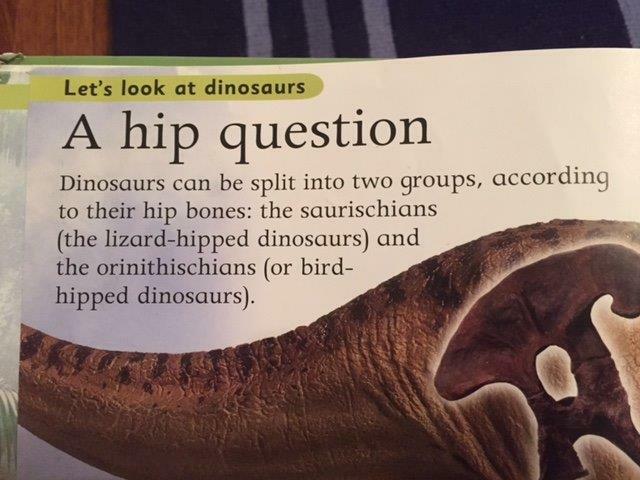 recently, we have been working our way through a book about dinosaurs. i include the proper pronunciation because i clearly did not know it. anyway, i read this paragraph about the "saw-RISH-ee-ans" and the "0r-ni-THISH-ee-ans." at this point, ben looked up at me, and with the utmost sincerity asked, "what about the Kar-DASH-ee-ans?" so, parents, and parents to be. pay attention in Dinosaur Studies. or you may have to have a serious conversation with your 7-year-old about the fact that the Kardashian family are alive and well in the Cenozoic era.